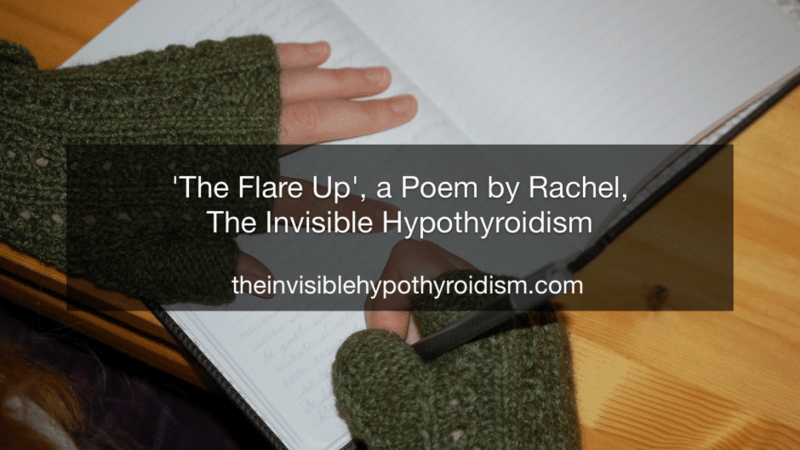 This is just something I quickly wrote as I struggled with the latest flare up of Hashimoto’s, hypothyroidism, adrenal fatigue and everything else. And I cannot put it out. And I’m panicking, I can’t lie. As I try to force them through the pain. Switching between panic and despair quickly. As it impacts my mental health. And I feel like I’m losing. As I wait to win this round.